Let not the geographical position of Bolivia’s largest city lure you into a false sense of security – at 3650m above sea level, La Paz is relatively cold all year round, with an average daily temperature of 8.8 degrees centigrade, so yes, you should pack a jumper. The huge snow-capped Mount Illimani dominates the skyline and can be seen from many parts of the city on a clear day – of which there are few. If you are fortunate enough to have a clear sky during your trip, get straight in a taxi to Tupac Katari Mirador. This viewpoint is a sacred Inca site with many sacred healers’ booths – don’t take photos of these out of respect, instead turn your camera to the breath-taking panorama of the sprawling city below, buildings upon buildings scrambling up to the mountain tops. 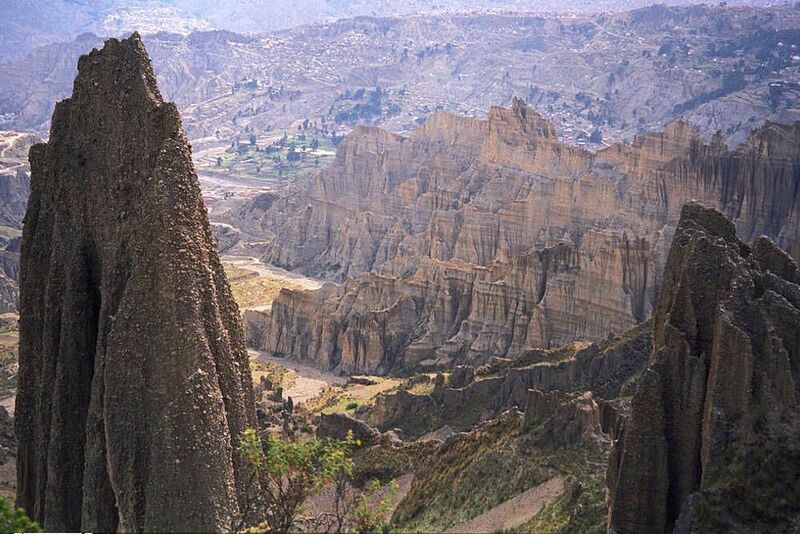 A morning trip 10km down the canyon of the Río Choqueyapu will reveal Valle de la Luna. This hillside bad land makes quite the sight with its maze of peaks, canyons and cacti – most notably the hallucinogenic San Pedro cactus. In the afternoon you can hike to Muela del Diablo, the extinct volcanic plug which provides yet another stunning view of the city, but do seek advice before your trip as some hiking routes are inadvisable without technical experience and equipment. There is a selection of excellent museums to explore in the city. 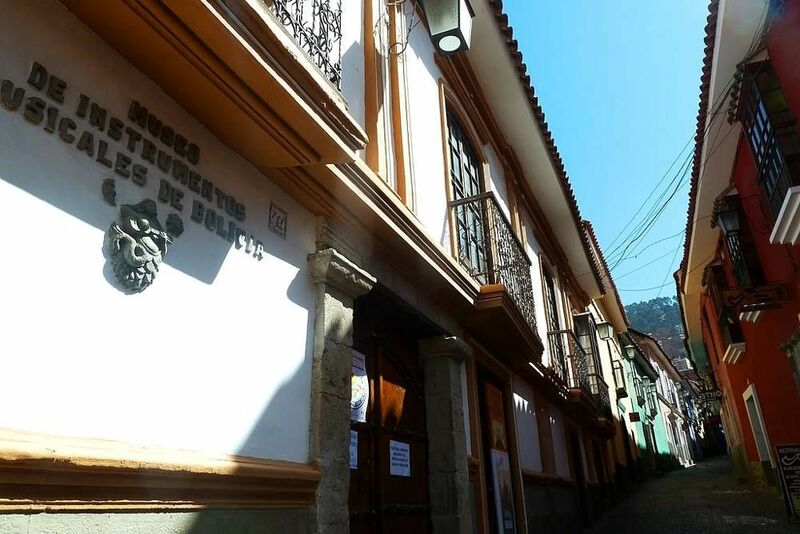 In one visit you can see all 4 of the Calle Jaén museums, collected together on the best colonial street in La Paz. The Museo de Metales Preciosos, known as the gold museum, displays fine works in precious metal. The Museo del Litoral houses mostly historical maps, the Museo Costumbrista Juan de Vargas has art, photos and ceramic figurines, and visit the Casa de Murillo to view all manner of items once belonging to the colonial aristocracy. Visitors to La Paz should get to grips with the city via a walking tour. These examples are a cost-free way to enjoy your time here, but be careful – on a rainy day the steeper streets are as good as inaccessible. This tour takes in markets, churches and plazas, and best of all ends in the tavern! Though this tour is listed on the free tours network, bookings are available on the website at the cost of US $3, but you can just show up on the day. It is unclear if this option is fee-free, but it is rated as one of the best tours in South America, so you’d be a fool to walk away at $3. Airotour’s route of La Paz will take you by some of the most interesting sites in the city, including the Metropolital Cathedral and the San Francisco Church. The tour lasts around 2 hours and is led by a friendly and knowledgeable local. Please note: Though this tour is free, it requires a fee of €2.50 when booking to cover the administrative costs of the booking system. Booking is also mandatory to ensure your place in the low group numbers. Take this self-guided tour to gain a deeper knowledge of local life in La Paz. Beginning at the Plaza Murillo, it visits a market and library amongst other things, focussing on being able to experience the locals going about their work, shopping and worship. An hour-long welcome break from the usual ‘sightseeing’. This tour’s route can be downloaded for use offline via the ‘GPSmyCity: Walks and Articles with Offline Maps’ app. Below you can find more popular (but not free) activities and tours in La Paz. Are you from La Paz and want to be a tour guide? Please get in touch by submitting your details on this page!